Anki OVERDRIVE pits you against Artificially Intelligent Supercars in a pulse-pounding game of fast speeds and strategy. Now it’s about to get faster and more furious than ever before. 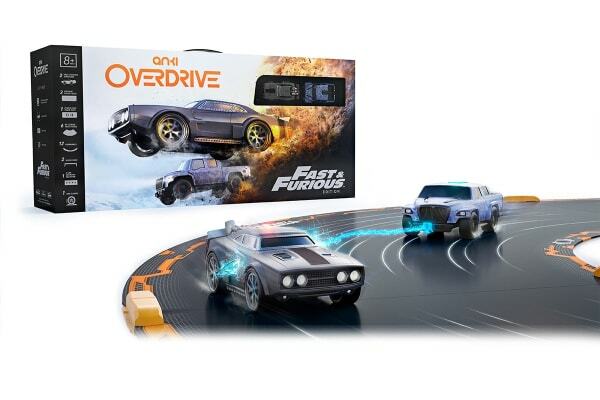 Each Supercar in Anki OVERDRIVE Fast & Furious Edition is a self-aware robot, driven by powerful artificial intelligence (AI) and equipped with deadly strategy. Whatever track you build, they’ll learn it. Wherever you drive, they’ll hunt you down. The better you play, the better they become. Whether you battle AI opponents or friends, your tactical options are unlimited. And with continuous software updates, the gameplay always stays fresh. Customize weapons. Swap out cars. Build new tracks. It’s easy to pick up, and nearly impossible to put down. Open the box and build your battle track. 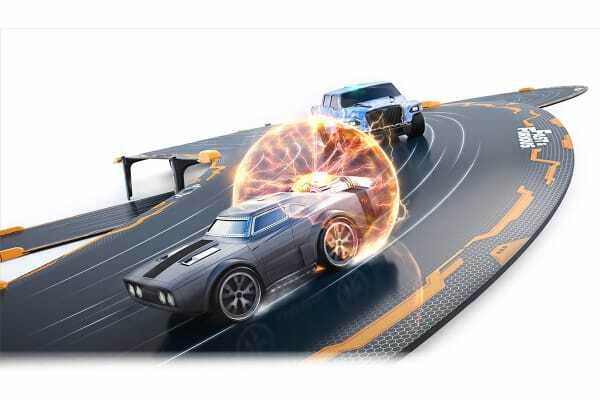 The Anki Overdrive app automatically handles everything else, from getting you connected, to teaching you gameplay, so you can start playing immediately. It’s effortless by design. The all-new, exclusive Fast and Furious track piece brings excitement from the movies into your game. 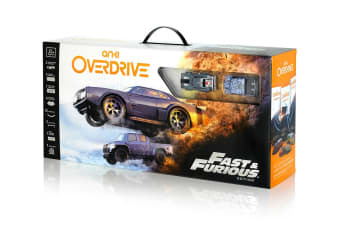 Drive Dom’s Ice Charger or Hobbs’ MXT, race against characters from the films, and build more excitement into your track with a new exclusive track piece. Build it into your track then drive through the Power Zone to trigger a massive blast that disables nearby opponents. Because winning is winning. The magnetic track pieces snap together quickly. And because it’s wireless and durable, you can build your track anywhere. Right out the box, simply connect the track pieces to build 8 unique tracks in seconds!